Interest in WebVR is growing! For a while now, my colleagues and I have been talking about WebVR — combining the power of virtual reality with the distribution and accessibility of the web. While I love to share our own demos (like Metaverse, Bubble, Pwacman, Word Drop and others! ), it’s even better to collaborate with partners to hopefully create real applications that can help people around the world. With that in mind, this month I joined TUI Group, the world’s leading travel and tourism company, for a hackathon that included the theme of virtual reality. 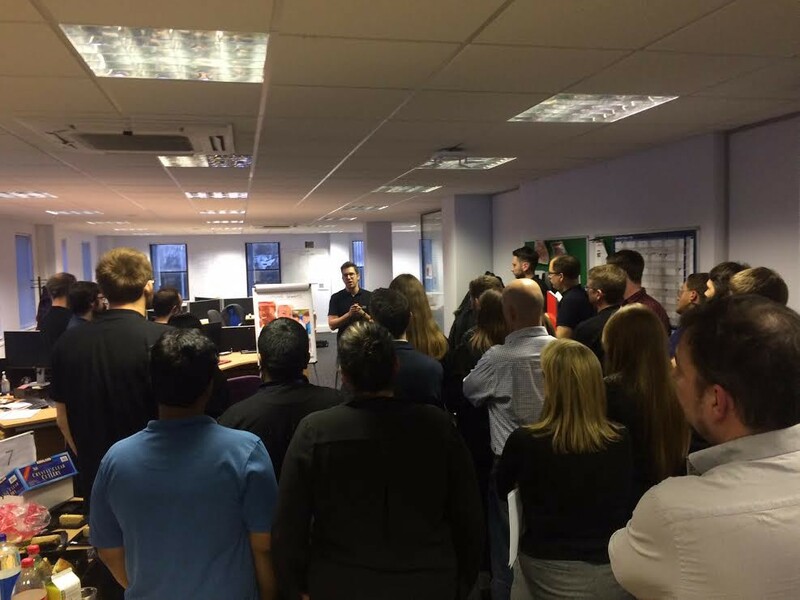 The event was held at TUI’s Content Hub offices, suitably located in the heart of the UK, near East Midlands Airport. Over the course of two days, nine teams came together to design and prototype exciting new concepts. Virtual reality and augmented reality were popular topics, with a number of teams envisaging immersive interfaces. Me with “Team Teleporters” at TUI Group’s Content Hub Hackathon. Photo by Yas Poptani. From left to right: me, Nikki, Carin, Camillo and Charlie. I was excited to work with “Team Teleporters” to create a WebVR prototype, using A-Frame. Without giving the whole idea away yet (it’s still a prototype right now! ), the idea is to help travellers get a much better sense of destinations, before they might physically travel there. Since it’s a web application, no app store downloads are required and it’s compatible with all kinds of VR headsets, including our Gear VR and something as simple as Google Cardboard. If you don’t have a headset to hand, you can still use it outside of VR, with a normal touchscreen or mouse. (If you haven’t experienced WebVR yet, Within’s new web app should give you an idea). As I’m accustomed to with hackathons, it was a slight rush to get the demo ready in time by the end of Day 2! It was fine in the end though and the team did a great job with the presentation — even including a ‘tour guide’ to different stations around the office! The result? Team Teleporters won the silver medal, along with Brightcove’s Most Creative Use of Video prize! In two days, I learned a lot about virtual reality interface design and the kind of experiences that real businesses are looking to create with WebVR. A couple of years on from when I first started hacking with WebVR, it really feels to me as though business interest is growing. 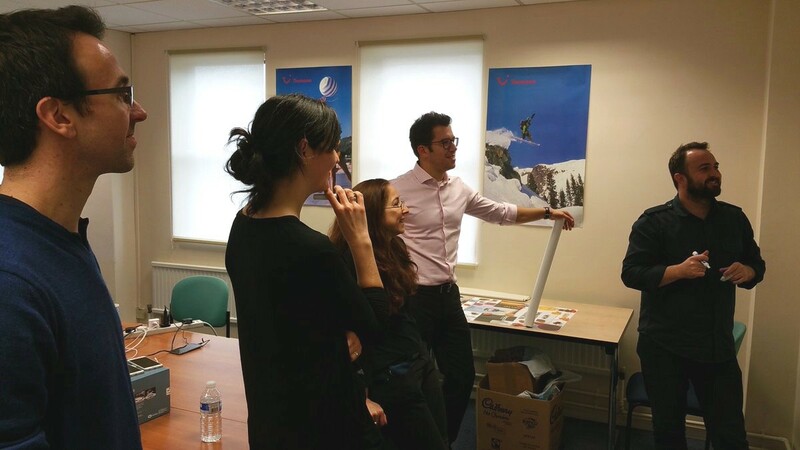 Thanks again to TUI Group for inviting me to join them!